We now live in a time where new kinds of cars powered in vastly different ways are becoming available to consumers on a large scale. One of these newcomers is the hydrogen fueled car, an innovation that was hot several years ago, but due to limitations, they have faded into the background. Now hydrogen vehicles are back in the news, and back into the minds of drivers looking for a viable alternative to gasoline, electricity, biodiesel and other forms of alternative fuels. So, what is hydrogen fuel exactly? 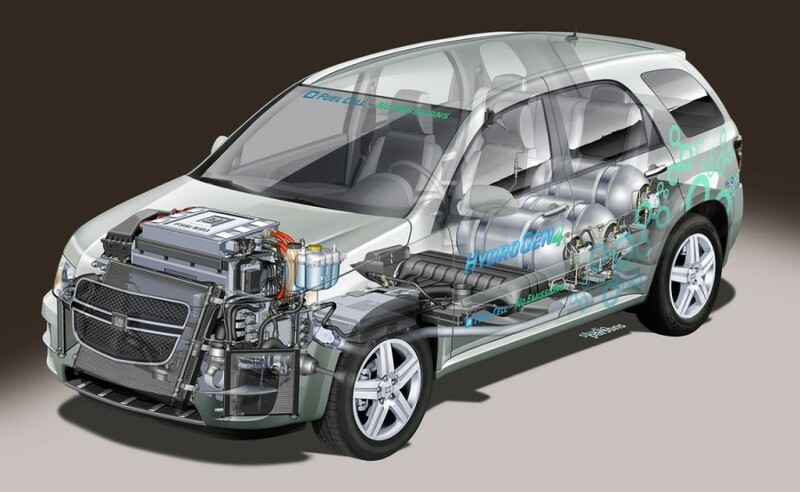 Let’s start with the fuel cell because when it comes to running an engine on hydrogen, you need a fuel cell. In simple terms, a fuel cell is an electrochemical device that creates a chemical reaction that produces electrical energy which powers the motor. For many years, these fuel cells were used in space travel, but over the years they have been adapted to operate passenger vehicles. 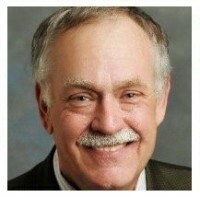 And as with any relatively new technology, there are going to be some pluses and also a few minuses. On the plus side, the great feature of hydrogen fuel is that is a clean and renewable energy source. Unlike the common internal combustion engine, powered by gasoline fuel (what most cars traditionally run on), fuel cells do not pollute the environment. The only emission from the tail pipe of a hydrogen car is a trickle of water vapor. As for renewability, the manufacture of hydrogen mainly uses sunlight energy, and the last time we checked we have plenty of sun—left unlike the alternate fossil fuels which are a limited resource (However, there is a downside to this sunlight process but we’ll get to that in a minute). The hydrogen powered vehicle produces a very quiet drive which will last an average 250 to 300 miles before it requires refueling. The refueling process is similar to pumping gas in that it takes only about five minutes to replenish the tank. That is considerably faster than the new electrically powered vehicles where even the “quick charging” models can take up to 30 minutes to resume functionality. On the minus side, those fueling stations for hydrogen cars are still few and far between. Most of them are located in California and, at this point in time, construction and infrastructure are costly. Station owners can expect to pay anywhere from five hundred thousand upwards to five million dollars per installation. For this reason, the majority of refueling stations are located in and around major urban areas such as New York, Washington D.C and Southern California. Current fueling costs are in the $6 per gallon range. 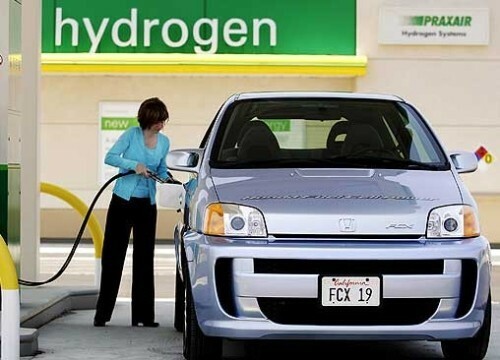 Along with filling station equipment, the new hydrogen cars are still in the higher price range. Average cost for a hydrogen fueled vehicle such as the Toyota Mirai is $57,500 or about $499 for a monthly lease. At present, four auto manufacturers are producing hydrogen cars: Toyota, Honda, Hyundai and Mercedes. The number of choices available to consumers, as with any new technology, is limited to under a half dozen models. Lastly, remember when we mentioned the plus side of using the sun’s energy to produce hydrogen? 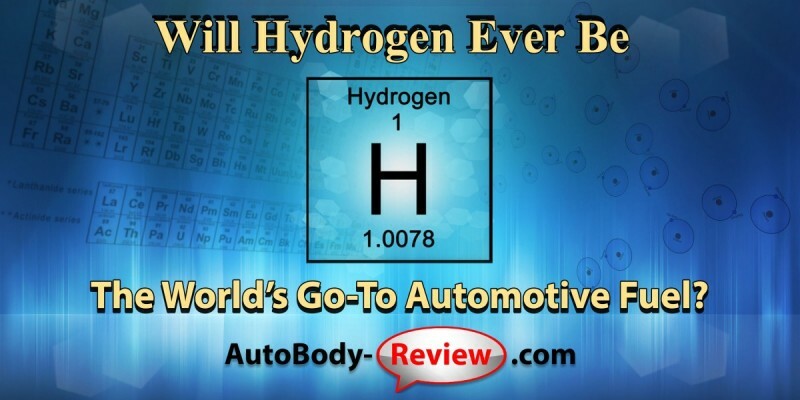 Because hydrogen is not a naturally occurring fuel source, it has to be manufactured. About 95% of hydrogen is created by a process called steam reforming, which also contributes to greenhouse gases. So, although it’s greener than gasoline, it’s still not yet the ideal fuel we’re all looking for today and in the near future. Joey did a great job repairing my vehicle, I love how fast my repair was completed so I could be back in my vehicle.